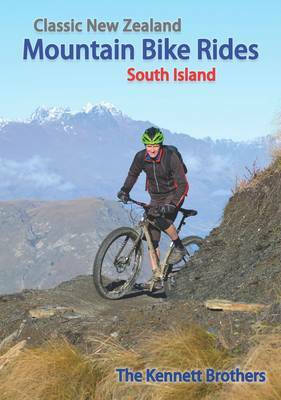 The ninth edition of New Zealand's best-selling mountain biking guide has been fully revised to include all the essential information needed to guide you to the most exhilarating rides around the country. For over 25 years, the Kennett Brothers have carved a name for themselves i... read full description below. The ninth edition of New Zealand's best-selling mountain biking guide has been fully revised to include all the essential information needed to guide you to the most exhilarating rides around the country. For over 25 years, the Kennett Brothers have carved a name for themselves in the sport of mountain biking. They continue to promote their passion by designing and building tracks, organising events and writing and publishing books. If it's worth biking, it's in this book. Now it's your turn to discover New Zealand's best trails! Like most Kiwi kids, Paul, Simon and Jonathan Kennett grew up with bikes, mucking about and cycling to school in Christchurch and Invercargill. It didn't take them long to latch onto the idea of using their bikes to explore tracks and back roads all over New Zealand. In 1989, Paul and Simon toured and raced in North America. In 1990, Jonathan and friends became the first people to cycle across Nepal to Everest Base Camp. In 1991, the Kennetts wrote Classic New Zealand Mountain Bikes. Fifty thousand copies and eight editions later, it is known as the mountain bike bible. The brothers have written a guide to road cycling, a series of biographies about famous New Zealand cyclists and a history of cycling in New Zealand. They also design and build bike tracks. Simon now works at Greater Wellington Regional Council as a walking, cycling and safety adviser. When he is not riding his bike he organises cycling events such as the Kiwi Brevet. Jonathan is a project manager for the New Zealand Cycle Trail, overseeing the development of the Great Rides. Paul designs the Kennett Brothers' books and mucks about on bikes with his young son.